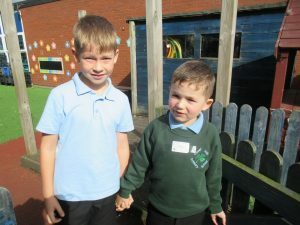 One of the best ways to see how amazing the children are at Clover Hill and how well they look out for and care for each other is to watch our Year Six Buddies at work. 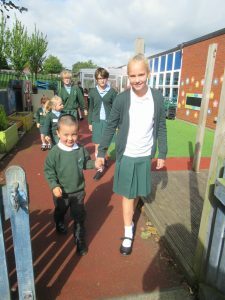 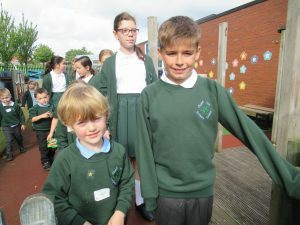 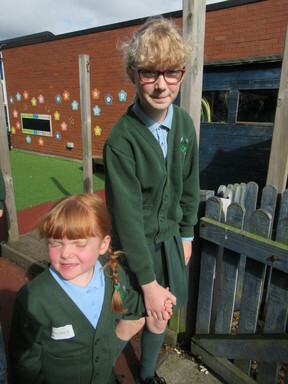 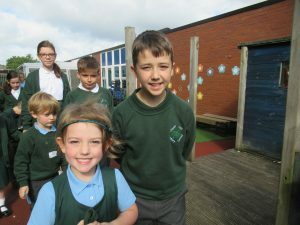 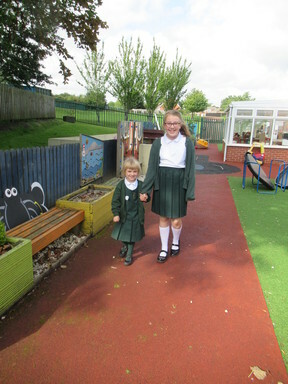 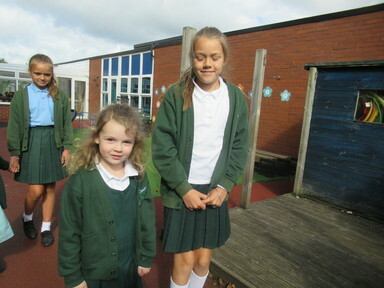 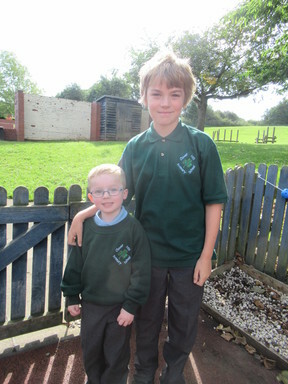 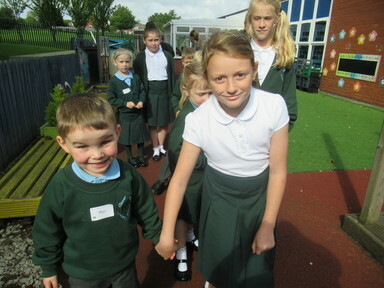 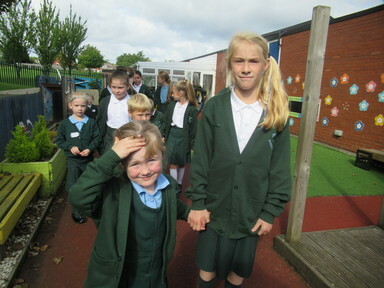 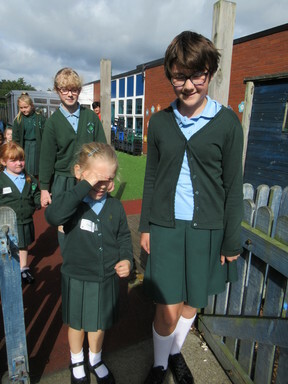 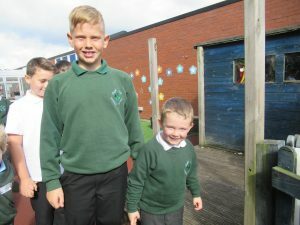 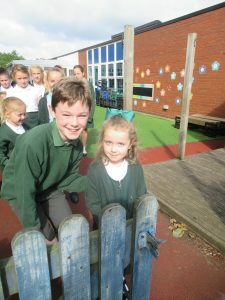 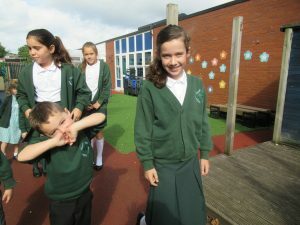 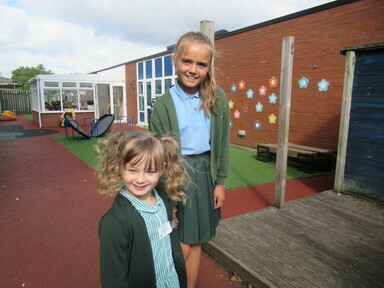 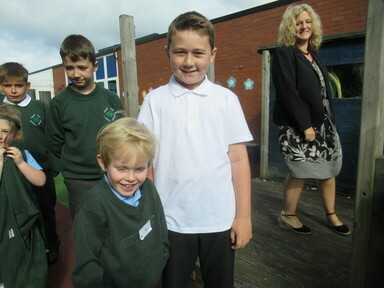 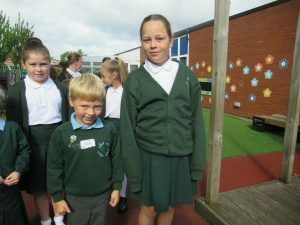 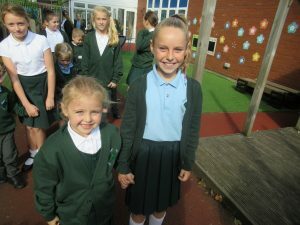 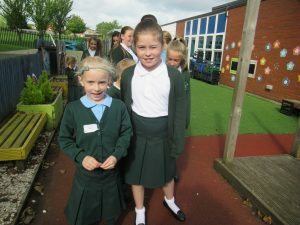 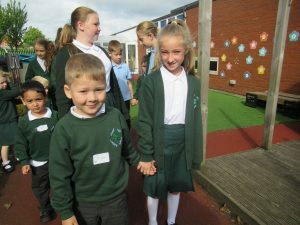 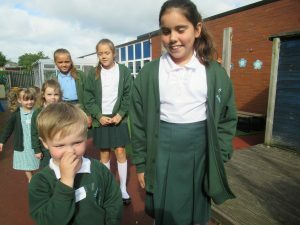 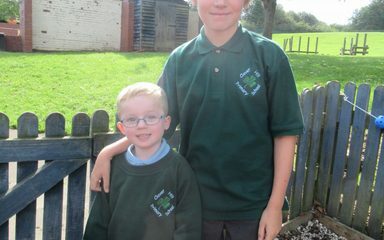 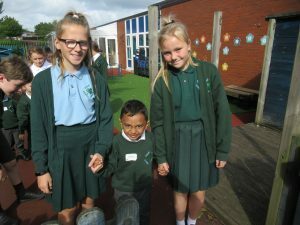 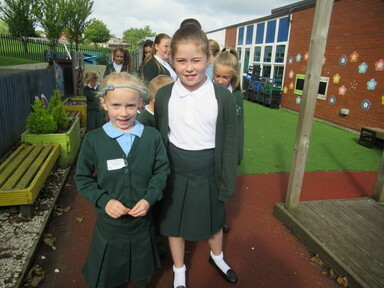 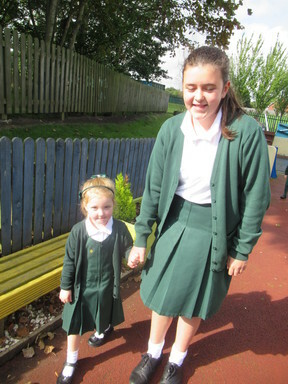 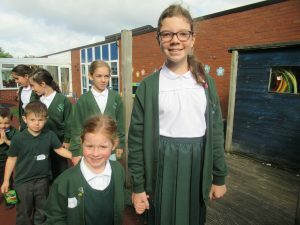 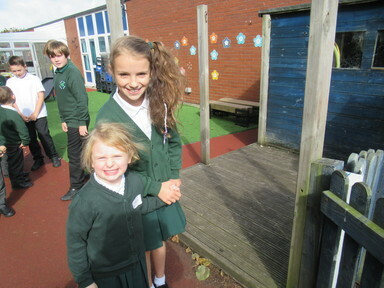 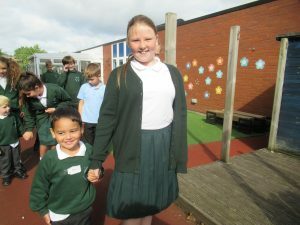 Each year, we are so impressed when we see our oldest children welcoming and supporting our youngest children into school. 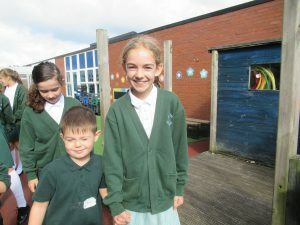 Near the end of their time in Year Five, each child writes to a child who will be joining us in September and that is where the great partnership begins. 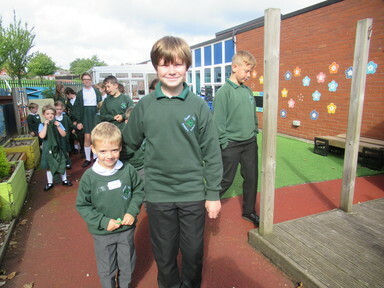 From there, the children meet on the first day of school when the buddies takes their little charges out for playtime. Without prompting, you always see: hands held, coats fastened, reassurance words given as well as a personal guided tour of the play equipment. 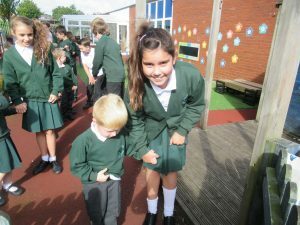 This continues for the first weeks of the school year. Fabulous job Year 6! It’s lovely to see how well they’ve settled.